#TeamRutland: Apply to be an Ambassador! We're very excited to announce the launch of #TeamRutland for 2019! Apply to be an ambassador and you could get a bike for a year, full #TeamRutland kit, and access to the latest cycling gear. To find out more, and complete your application, read on! #TeamRutland is Rutland Cycling's brand ambassador programme where both us and our customers get to talk about all of the great experiences that cycling offers by sharing inspiring stories and product reviews from staff, customers and brands. #TeamRutland is open to all of our customers and we'd love you to get involved! 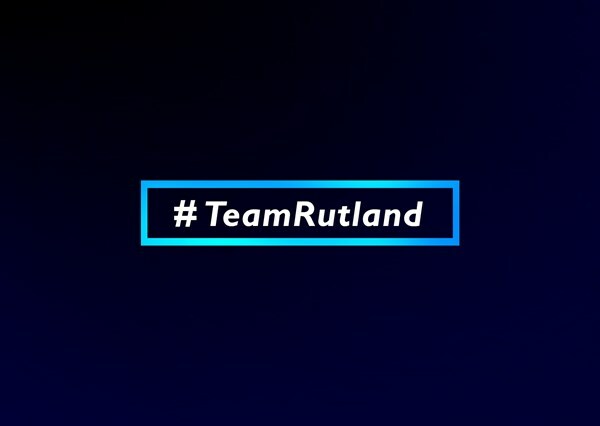 Just use the hashtag #TeamRutland and #RutlandCycling on your photos and videos and let us hear all about your riding. As part of #TeamRutland we'll also select a number of hand-picked ambassadors that are supplied with bikes and kit over a 12-month period. You ride your bike regularly and you share the same passion for bikes as we do! What do I get as a #TeamRutland Ambassador? Rutland Cycling works with the biggest and best brands in cycling and by signing up as an ambassador you will have access to the latest and greatest new products, as well as being associated with one of the fastest growing companies in the UK cycle industry. What am I expected to do if I'm chosen as a #TeamRutland Ambassador? Once our ambassadors have been selected, you will be required to carry out a number of promotional actions throughout the ambassador period, both in-store and online. In-store – As an ambassador you will be in charge of leading regular rides from your local store throughout the year. This is a perfect opportunity to meet your local riding community and finding out more about local riders, inspiring more people to get out on their bikes and find out why it is so amazing to ride your bike. Online – You will be expected to create content in the form of blogs, reviews and some video content which will be arranged before the start of the programme. We are looking for ambassadors with a flair for writing and creating incredible photos to share with our cycling community. You will be asked to regularly promote Rutland Cycling through your social channels and this will also be shared on the Rutland Cycling pages with over 29,000 followers. To apply, just follow the link below and complete your application! Applications open on Monday 18th February and close on Sunday 17th March. For your application to be considered you must be aged 18 or over and live in the UK. When will I find out if I've been selected as an Ambassador? Applications will close on Sunday 17th March and if your application has been shortlisted, we'll be back in touch. If you have any other questions about #TeamRutland or how to apply, please contact us via email, by phone on 0330 555 0080, or get in touch through Live Chat. An independent family-run chain of cycle shops established in 1981, Rutland Cycling now has 12 stores across the Midlands and an extensive online presence. Much has changed in the world of cycling over the last 37 years, but our core values remain the same: to offer excellent customer service, stock the world's best cycling products and inspire our local community through our passion for cycling. We are the UK's largest E-Bike retailer with 7 dedicated E-Bike Centres and also offer cycle hire, servicing, bike fit, led rides and demo days. We are proud to have been voted the UK's Best Independent Cycling Retailer by BikeBiz in 2013, 2011 and 2010, and nominated for BikeBiz's Best Mainstream Dealer in 2018, and equally proud to have won the inaugural Total Women's Cycling Award for Best Independent Cycling Retailer in 2014, recognising our support for the long-underserved women's cycling market. Home Latest News & Updates at Rutland Cycling #TeamRutland: Apply to be an Ambassador!